Everyone say hello to Maymo! 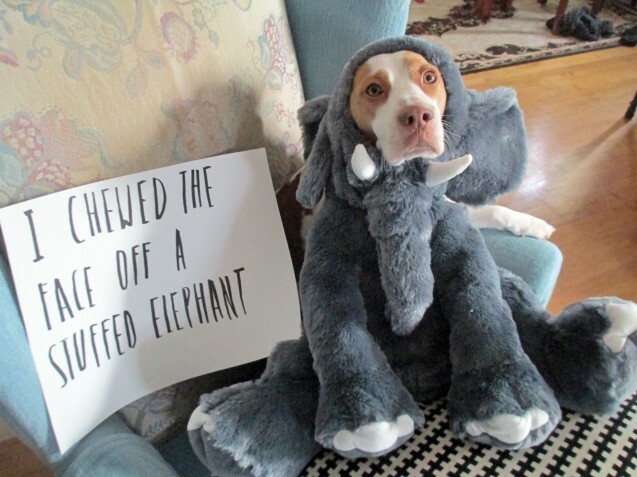 You may remember Maymo from the hilarious Dog Shaming video that swept the meme world by storm a few months ago. Maymo will be a recurring character on Dog Shaming. 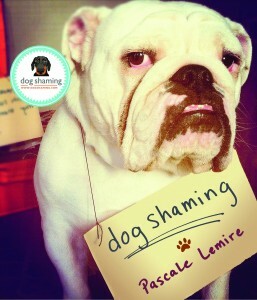 His owner has been a long-time reader and knew his pup was the ultimate Dog Shaming subject. I believe this little guy gives my wiener dogs a run for their money. Maymo, the lemon beagle, likes to chew the faces off stuffed animals so he can continue to grow his large collection of lovely animal-themed Halloween costumes. For more skullduggery, check out his YouTube page here. Posted January 28th, 2013 . Maymo is the ultimate shamey puppo. SO well trained and yet a dastardly water hoarding, face-eating pickle roller. The attached video is the funniest thing I’ve seen in weeks. My favorite part of this photo is Maymo’s paw hanging out there on the chair arm. I love Maymo. I can’t get enough of his videos.